Farm Zoo at Woodland has never been better. We have really enjoyed taking care of the animals this year and we can’t believe how much they’ve grown over the past three weeks! Every day the campers clean the barn and make sure the chicks, ducks, goats, and rabbits are fed and happy. We work together as a team and have gotten to learn from one another. 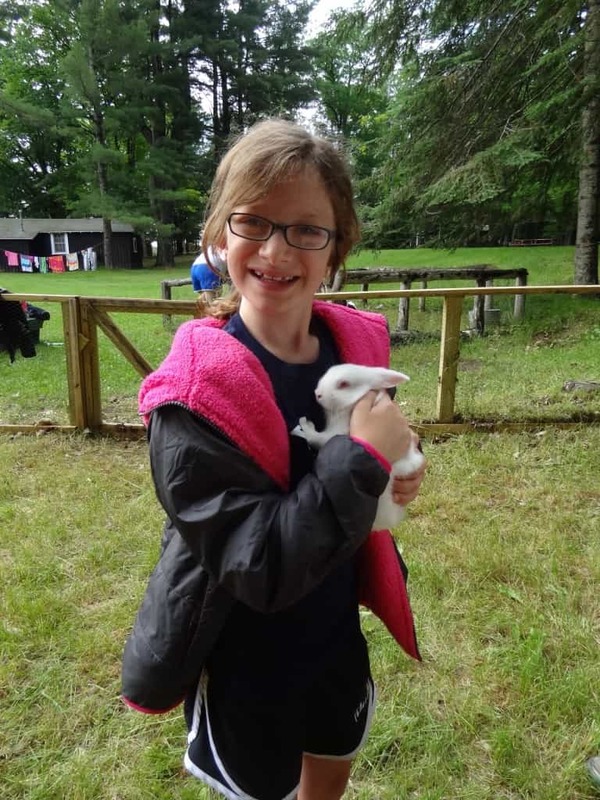 The older girls have done a really nice job of teaching the new campers how to clean the rabbit cage, hold the animals properly, and even take the goats on walks! During the first session the girls agreed on some fun names for the animals. We have two goats named Woody and Cow (one likes to chew on bark and the other is black and white.) We also have three new additions to the rabbit ensemble: two white ones named Snow and White and a brown one named Peter. The chicks and ducks, on the other hand, are much harder to name. First there are so many of them that it hard to keep track and second, they are hard to differentiate! Nonetheless, the girls still find ways to assign names as the days go by. Apart from making sure the animals are taken care of, Farm Zoo includes exploring the forest surrounding the camp and making nature themed crafts and goods. Last session, we learned how to make butter and discussed the differences between the butter we made and the butter found in grocery stores. I think together we all agreed that its good when we know where the food on our table is coming from, especially if you make it yourself! 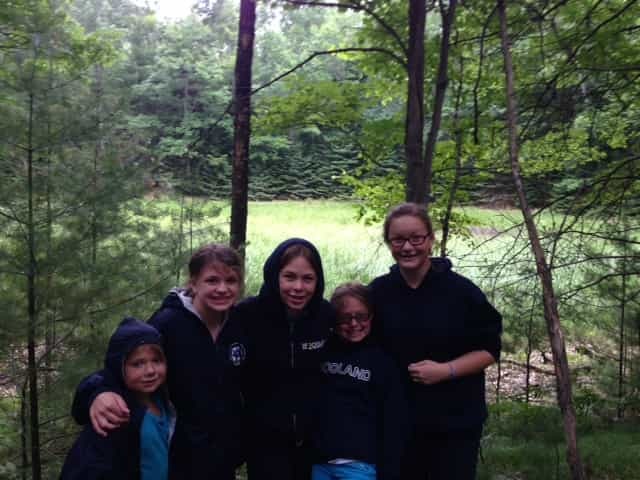 This session, we have explored the bog and the girls learned about the old pond that used to take its place. They also took on the project of beautifying the camp by planting flowers and hanging pinecone bird feeders. In the coming weeks we are looking forward to continue exploring the land that surrounds us and hopefully get into the cheese making process!